This deck comes with a double backer and a double faced blank card along with two identical ad cards. The pips and court cards are standard except that instead of red ink for the hearts and diamonds, a pastel peach color appears. The only colors that are present in the court cards are peach, beige, black and white. The card back graphics can be seen in the pictures attached to this review. 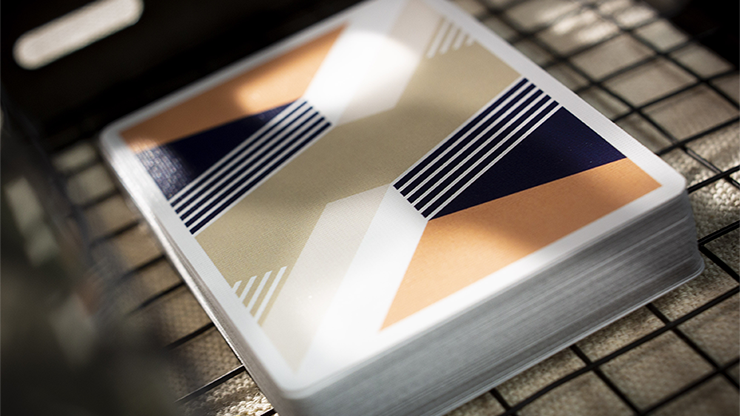 The cards have a slim white edge and a two way back design that has three dimensional rectangular figures, angled lines and spaces filled with the same solid colors that make up the court cards. 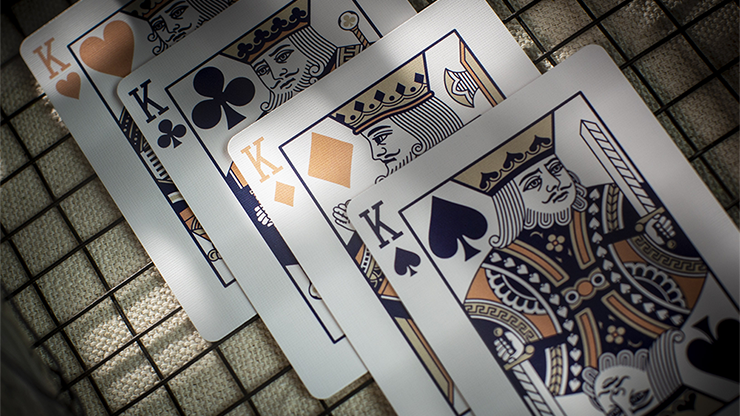 The spades and clubs are printed in a very dark blue ink. It is really only distinguishable from the standard black ink to the most discerning observer – or if they are placed next to one another. 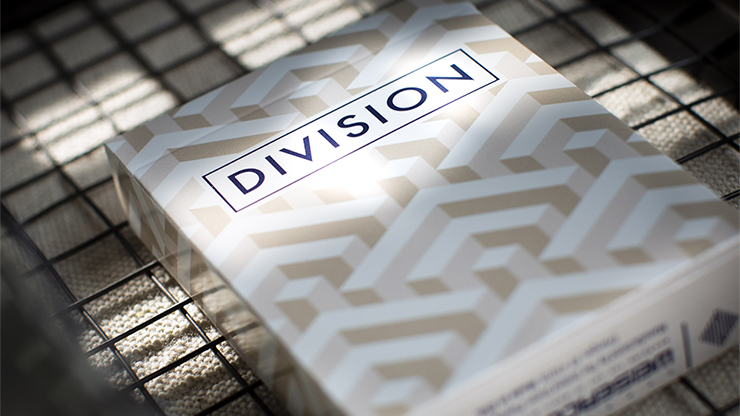 The cards handle well, faro nicely and are pleasing to the eye. Job well done! Thanks to Murphy’ s Magic for sending these cards to me to review. They can be purchased at any Murphy’s Magic dealer.